Adalet’s JN4XSS series WALL-MOUNTED JIC stainless steel enclosures are designed to provide protection, indoors and outdoors, against dust, dirt, oil and water for items such as pneumatic or hydraulic instruments, transformers, and junction wiring. and similar environments where they are subject to frequent high pressure hosing and generally wet conditions. They are also designed for use in areas where severe corrosion problems exist. 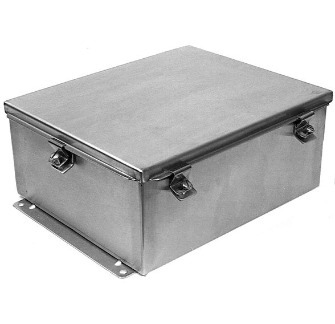 Type 316L stainless steel enclosures are also suitable for use in offshore applications.